The third movie and sixth episode of George Lucas’ original STAR WARS saga, “STAR WARS: EPISODE VI – RETURN OF THE JEDI”, has become something of a conundrum for me. It was the first STAR WARS movie that immediately became a favorite of mine. But in the years that followed, my opinion of the film had changed. Directed by Richard Marquand, “RETURN OF THE JEDI” picked up a year after “STAR WARS: EPISODE V – THE EMPIRE STRIKES BACK” left off. The movie begins with the arrival of the Emperor Palpatine aka Darth Sidious and his apprentice, Darth Vader to the Empire’s new Darth Star, which had been in construction above the moon of Endor. Luke Skywalker, Jedi-in-training and Rebel Alliance pilot, finally construct a plan to rescue his friend, Han Solo, from the Tatooine gangster Jabba the Hutt. His plan nearly fails, despite help from Princess Leia Organa, Lando Calrissian, Chewbacca and his droids C3-P0 and R2-D2. Despite the odds against them, the group of friends finally succeed in rescuing Han and killing Jabba. Following the Tatooine rescue, Luke returns to Dagobah to finish his Jedi training with Jedi Master Yoda. However, Luke discovers Yoda on the verge of death from old age. When the old Jedi Master finally dies, Obi-Wan Kenobi’s ghost appears and verifies what Luke had learned on Bespin in “THE EMPIRE STRIKES BACK” – that Darth Vader is his father, Anakin Skywalker. Obi-Wan insists that Luke has to kill his father in order to destroy the Sith Order, but the latter is reluctant to commit patricide. Eventually, Luke returns to the Rebel Alliance rendezvous point, and volunteers to assist his friends in their mission to destroy the the Death Star. I was not kidding when I stated that “RETURN OF THE JEDI” was the first STAR WARS movie to become a personal favorite of mine. I disliked “A NEW HOPE” when I first saw it. It took me nearly a decade to get over my dislike and embrace it. “THE EMPIRE STRIKES BACK” creeped me out a bit, due to its dark plot, the revelation of Darth Vader’s true identity and Han’s unhappy fate. The movie has become one of my two favorites in the franchise. But I loved “RETURN OF THE JEDI” from the beginning. By then, I finally learned to embrace Lucas’ saga. And the positive ending with no potential of a sequel made me equally happy. And yet . . . my feelings toward the movie gradually changed. Although I still maintained positive feelings toward the movie, I ceased to regard it as my personal favorite from the STAR WARSfranchise. “RETURN OF THE JEDI” did have its problems. One, the movie featured both a second Death Star and Luke’s return to Tatooine. For me, this signalled an attempt by George Lucas to recapture some of the essence from the first movie, “A NEW HOPE”. In other words, I believe Lucas used the Death Star and Tatooine to relive the glory of the first movie for those fans who had been disappointed with “THE EMPIRE STRIKES BACK”. And there is nothing that will quickly turn me off is an artist who is willing to repeat the past for the sake of success. Tatooine proved to be an even bigger disappointment, especially since I have never been fond of the sequence at Jabba’s palace. I never understood why it took Luke and his friends an entire year to find Han. Boba Fett had made his intentions to turn Han over to Jabba very clearly in “THE EMPIRE STRIKES BACK”. So, why did it take them so long to launch a rescue? Exactly what was Luke’s rescue plan regarding Han in the first place? Not long after she arrived with Chewbacca, Leia made her own attempt to free Han from the carbonite block and failed. Had Luke intended for this to happen? Had he intended to be tossed into a pit with a Rancor? Were all of these minor incidents merely parts of Luke’s plan to finally deal with Jabba on the latter’s sail barge? If so, it was a piss-poor and convoluted plan created by Lucas and Lawrence Kasdan. “RETURN OF THE JEDI” also featured the development of Luke’s skills with the Force. Since the movie made it clear that he had not seen Yoda since he departed Dagobah in order to rescue Han, Leia and Chewbacca from Bespin; I could not help but wonder how Luke managed to develop his Force skills without the help of a tutor. I eventually learned that Luke honed his Force skills by reading a manual he had found inside Obi-Wan Kenobi’s Tatooine hut. Frankly, I find this scenario ludicrous. Luke’s conversation with Obi-Wan’s ghost on Dagobah featured one major inconsistency. Obi-Wan claimed that Owen Lars was his brother, in whose care he left Luke. Considering Obi-Wan’s unemotional response to Owen’s death in “A NEW HOPE”, I found this hard to believe and could not help but view Obi-Wan’s words as a major blooper. Especially since Obi-Wan had reacted with more emotion over Luke’s reluctance to become a Jedi and kill Darth Vader. For years, I have wondered why Leia would carry such a dress with her, during the mission to Endor. 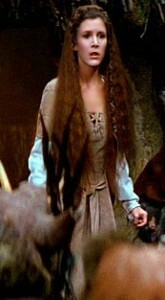 I eventually learned that the Ewoks created the dress for her, after she became their guest. And I could not help but wonder why they had bothered in the first place. Luke and Han did not acquire new outfits from the Ewoks after they became the latter’s guests. And how did the Ewoks create the dress so fast? Within a matter of hours? Thankfully, “RETURN OF THE JEDI” had plenty of virtues. One of those virtues turned out to be Mark Hamill, who gave the best and probably the most skillful performance in the movie as Luke Skywalker. Unlike the previous two movies, Luke has become a more self-assured man and Force practitioner, who undergoes his greatest emotional journey in his determination to learn the complete story regarding his family’s past and help his father overcome any remaining connections to the Sith. He was ably supported by James Earl Jones (through voice) and David Prowse (through body movement), who skillfully conveyed Darth Vader/Anakin Skywalker’s growing dissatisfaction with the Sith and himself.“RETURN OF THE JEDI” also marked the real debut of Ian McDiarmid’s portrayal of politician and Sith Lord Palpatine aka Darth Sidious. Although the actor achieved critical acclaim for his portrayal of Palpatine in the Prequel Trilogy movies, I must say that I was impressed by his performance in this film. McDiarmid was in his late 30s at the time, but I he did a first-rate job in portraying Palpatine as a powerful and intelligent Sith Lord and galactic leader, whose skills as a manipulator has eroded from years of complacency and arrogance. Billy Dee Williams returned as ex-smuggler Lando Calrissian, who has joined the Rebel Alliance cause. Although his portrayal of Lando did not strike me as memorable as I did in “THE EMPIRE STRIKES BACK”, I believe he did a very solid job – especially in the Battle of Endor sequence. I finally have to comment on the Jabba the Hutt character, who proved to be very memorable thanks to Larry Ward’s voiceovers and the puppeteer team supervised by David Barclay. “RETURN OF THE JEDI” also featured some first-rate action scenes. The best, in my opinion, was the speeder bike sequence in which Luke and Leia chased a squad of Imperial stormtroopers on patrol through the Endor forest. This sequence was actually shot in the Redwood National Forest in California. The combined talents of Lucas, Marquand’s direction, Alan Hume’s photography, the ILM special effects, Ben Burtt’s sound effects (which received an Oscar nomination) and especially the editing team of Sean Barton, Marcia Lucas and Duwayne Dunham made this sequence one of the most exciting, nail biting and memorable ones in the entire saga. But there were other scenes and sequences that impressed me. Despite my dislike of the entire sequence featuring the rescue of Han Solo from Jabba the Hutt, I cannot deny that the scene aboard Jabba’s sail barge proved to be entertaining. Even the ground battle between the Imperial forces and the Rebel forces (assisted by the Ewoks) proved to be not only entertaining, but also interesting. The idea of the Ewoks utilizing the natural elements of Endor to battle and defeat Imperial technology provided an interesting message on the superiority of nature. And if I must be honest, I found the destruction of this second Death Star to be more exciting than the first featured in “A NEW HOPE”. Despite the barrage of action scenes, there were a few dramatic scenes that I found impressive. The best one proved to be the confrontation between Luke, Vader and Palpatine aboard the second Death Star. Luke and Papatine’s battle of wills over Vader’s soul not only provided some interesting performances from Hamill, Earl Jones/Prowse and McDiarmid; it also resulted in one of the most emotionally satisfying moments in the movie. Another excellent dramatic scene featured Luke’s discussion with Obi-Wan’s ghost regarding Vader’s true identity. Both Hamill and Alec Guinness gave excellent performances in the scene. It also, rather surprisingly, revealed the flawed aspect of the Jedi’s righteous nature for the very first time. After the release of the six STAR WARS movies produced by George Lucas, I realized that I no longer regarded “RETURN OF THE JEDI” as the best in the saga. Unfortunately, I now rate it as the least most satisfying film in the saga, so far. Certain plot holes and some weak performances made it impossible for me to view it with such high esteem. Yet, I cannot say that I dislike the film. In fact, I still enjoyed it very much, thanks to a first-rate performance by Mark Hamill, who really held the movie together; some excellent action sequences and a surprising, yet satisfying twist that ended the tale of one Anakin Skywalker. Despite its flaws, “RETURN OF THE JEDI” still managed to be a very satisfying movie. From a certain point of view, I find it hard to believe that the 1980 film, “STAR WARS: EPISODE V – THE EMPIRE STRIKES BACK” has become the most critically acclaimed STAR WARS movie by the franchise’s fans. And I find it hard to believe, due to the film’s original box office performance. I was also surprised that “THE EMPIRE STRIKES BACK” was released in the first place. Despite the ambiguous nature of villain Darth Vader’s fate in the 1977 film, “STAR WARS: EPISODE IV – A NEW HOPE”, I had assumed that film’s happy ending meant the story of Luke Skywalker and his friends was over. But my assumption proved to be wrong three years later. 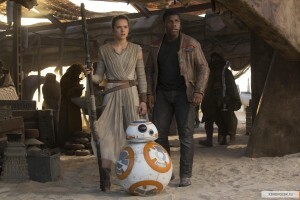 Many other filmgoers and critics also expressed surprise at the release of a second STAR WARS movie. More importantly, a surprising revelation and an ending with a cliffhanger resulted in a smaller box office for “THE EMPIRE STRIKES BACK” than either “A NEW HOPE” or the 1983 film, “STAR WARS: EPISODE VI – RETURN OF THE JEDI”. Yet, thirty-three years later, the movie is now viewed as the most critically acclaimed – not just among the first three movies, but also among those released between 1999 and 2005. “THE EMPIRE STRIKES BACK” begins three years following the events of ” A NEW HOPE”. Despite the Rebel Alliance’s major victory above the planet of Yavin and the destruction of the Galactic Empire’s Death Star, the rebellion continues to rage on. Luke Skywalker, now a wing commander at the Rebels’ base on Hoth, patrols beyond the base’s perimenter with close friend and former smuggler Han Solo. After the latter returns to base, Luke is attacked by a wampa and dragged into the latter’s cave. Meanwhile, Han receives word from Princess Leia, one of the Rebel leaders and a friend of both men, that Luke has not returned. He leaves the base to find Luke, while the latter manages to escape from the wampa’s lair. Luke stumbles into a snowstorm and before losing consciousness, receives a message from the Force spirit of his late mentor, Jedi Master Obi-Wan Kenobi, to seek out another Jedi named Yoda on Dagobah for further training. Han eventually finds Luke before a Rebel patrol finds them both. While Luke recovers from his ordeal, Leia and General Rieekan learn from Han and his Wookie companion Chewbacca have discovered an Imperial probe. They surmise that Imperial forces know the location of their base and might be on their way. The Rebel Alliance forces prepare to evacuate Hoth. But an Imperial presence on the planet served as a bigger problem for the heroes. Unbeknownst to them, Darth Vader seeks out Luke, following his discovery of the young man’s connection to the Force three years ago. Although the three friends will separate for a period of time and experience adventures of their own, Lord Vader’s hunt for Luke will result in great danger and a surprising revelation in the end. I once came across a post on the TheForce.net – Jedi Council Forums message board that complained of the lack of a main narrative for “THE EMPIRE STRIKES BACK”. A part of me could understand why this person reached such an opinion. Despite the circumstances on Hoth and the finale on the Bespin mining colony, our heroes barely spent any time together. Following the Rebel Alliance’s defeat on Hoth, Luke and R2-D2 traveled to Dagobah, where the former continued his Jedi training under Master Yoda. Meanwhile, Han and Chewbacca helped Leia and C3-P0 evade Darth Vader and Imperial forces on Hoth and in space before seeking refuge on Bespin. I believe this person failed to realize that other than Luke’s Jedi training with Yoda, most of the movie’s narrative centered on Vader’s attempts to capture Luke – the Imperial invasion of Hoth, his pursuit of the Millennium Falcon with Leia and Han aboard, and their subsequent capture on Bespin. Even Luke’s Jedi training was interrupted by visions of his friends in danger and journeyed into the trap set by Vader. And this is why I found it hard to accept this complaint about “THE EMPIRE STRIKES BACK”. Most fans tend to regard the movie as perfect or near perfect. Despite my feelings for “THE EMPIRE STRIKES BACK”, I cannot agree with this view. I believe that the movie has its flaws. One could find cheesy dialogue in the movie, especially from Darth Vader. He possessed an annoying penchant for constantly using the phrase “It is your destiny” in the movie’s last half hour. Some of Leia and Han’s “romantic dialogue” in the movie’s first half struck me as a bit childish and pedantic. Speaking of those two – how did they end up attracted to each other in the first place? “A NEW HOPE” ended with Han making a brief pass at Leia during the medal ceremony. But she seemed to regard him as a mere annoyance and nothing else. Three years later, both are exchanging longing glances and engaging in verbal foreplay at least ten to fifteen minutes into the story. I would have allowed this to slide if a novel or comic story had explained this sudden shift toward romance between them. But no such publication exists, as far as I know. This little romance seemed to have developed out of the blue. There were other problems. The movie never explained the reason behind Leia’s presence at the Rebels’ Hoth base. She was, after all, a political leader; not a military one. The base already possessed a more than competent military leader in the form of General Rieekan. Watching Leia give orders to the pilots during the base’s evacuation made me realize that she really had no business interfering in the Rebels’ military command structure. It would have been a lot easier if she had been a military officer or a spy for the Alliance. “THE EMPIRE STRIKES BACK” also failed to explain why Han was being hunted by Jabba the Hutt after three years. I thought the payment he had received for delivering Leia and the Death Star plans to Yavin was enough to settle his debt to the Tattooine gangster. Apparently not. And the movie failed to explain why. Perhaps there is a STAR WARS novel or comic book story that offered an explanation. I hope so. For years, I never understood the symbolism behind Luke’s experiences inside the Dagobah cave during his Jedi training. And I am not sure if I still do. Finally, how long did Luke’s training on Dagobah last? And how long did it take the Millennium Falcon to reach Bespin with a broken hyperdrive? LucasFilm eventually revealed that both incidents took at least three months. If so, why did the movie failed to convey this particular time span? Thankfully, “THE EMPIRE STRIKES BACK” more than rose above its flaws. For me, it is still one of the best science-fiction adventure films I have ever seen. I am amazed that such a complex tale arose from two simple premises – Darth Vader’s hunt for Luke Skywalker and the continuation of the latter’s Jedi training. From these simple premises, audiences were exposed to a richly detailed and action-filled narrative, thanks to George Lucas’ story, Lawrence Kasdan’s screenplay (which was also credited to Leigh Brackett) and Irvin Kershner’s direction. The movie featured many exciting sequences and dramatic moments that simply enthralled me. Among my favorite action sequences were the Millennium Falcon’s escape from Hoth, Yoda’s introduction, Han’s seduction of Leia inside the giant asteroid worm, the Falcon’s escape from the worm. For me, the movie’s best sequence proved to be the last – namely those scenes on the mining colony of Bespin. I would compare this last act in “THE EMPIRE STRIKES BACK” to the Death Star sequence in “A NEW HOPE”or the Mos Espa podrace sequence in “STAR WARS: EPISODE I – THE PHANTOM MENACE”. The Bespin sequence featured a few truly iconic moments. Well . . . if I must be honest, I would say that it featured two iconic moments – Han’s response to Leia’s declaration of love and Darth Vader’s revelation of his true identity. Naturally, one cannot discuss a STAR WARS movie without mentioning its technical aspects. In my review of “A NEW HOPE”, I had failed to mention Ben Burtt’s outstanding sound effects. I will add that his work in “THE EMPIRE STRIKES BACK” proved to be equally outstanding. I could also say the same for the movie’s sound mixing, which earned Academy Awards for Bill Varney, Steve Maslow, Greg Landaker, and Peter Sutton. Composer John Williams’ additions to his famous STAR WARS score were not only outstanding, but earned him an Academy Award nomination. Those additions included a love theme for the Leia/Han romance and the memorable “Imperial March”, which is also known as “Darth Vader’s Theme” As far as I am concerned, the tune might as well be known as the Sith Order’s theme song. The team of Brian Johnson, Richard Edlund, Dennis Muren, and Bruce Nicholson did an outstanding job with the movie’s visual effects – especially for the Battle of Hoth sequence. I can also say the same for Peter Suschitzky’s photography. However, my favorite cinematic moment turned out to be Luke’s initial encounter with Darth Vader on Bespin. Even to this day, I experience a chill whenever I see that moment when they meet face-to-face for the first time. Although John Mollo’s costumes caught Hollywood’s attention after “A NEW HOPE” was first released (he won an Oscar for his effort), his costumes for “THE EMPIRE STRIKES BACK” seemed like a continuation of the same. 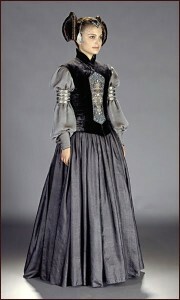 In fact, I found the costumes somewhat on the conservative side, even if they blended well with the story. It is interesting that the performances of both Harrison Ford and Carrie Fisher garnered most of the attention when “THE EMPIRE STRIKES BACK” first came out. The Leia/Han romance was very popular with fans. Mind you, both gave very good performances. But I believe that Mark Hamill acted circles around them. And not surprising, he won a Saturn Award for his performance as Luke Skywalker in this film. Billy Dee Williams also gave a first-rate performance as the roguish smuggler-turned-colony administrator, whose charming persona hid a desperation to do anything to save the inhabitants of Bespin from Imperial annihilation. James Earl Jones and David Prowse continued their outstanding portrayal of Darth Vader aka Anakin Skywalker, with one serving as the voice and the other, the physical embodiment of the Sith Lord. Julian Glover, who later appeared in “INDIANA JONES AND THE LAST CRUSADE” made a brief appearance as the commander of the Imperial walkers, General Veers. Anthony Daniels, Kenny Baker and Peter Mayhew continued their excellent work as C3-P0, R2-D2 and Chewbacca. But I was particularly impressed by Frank Oz’s voice work as the veteran Jedi Master Yoda, and Kenneth Colley as the Imperial Admiral Piett, whose caution and competency led him to rise in the ranks and avoid Vader’s wrath for any incompetence. Is “THE EMPIRE STRIKES BACK” my favorite STAR WARS movie of all time? Almost. Not quite. For me, it is tied in first place with one other movie from the franchise. But after thirty-three years and in spite of its flaws, I still love it, despite its flaws. And I have give credit to not only the talented cast and crew, but also director Irwin Kershner, screenwriter Lawrence Kasdan and especially the man behind all of this talent, George Lucas. Morality has always seemed to be a tricky subject with humans. Probably more so than we care to admit. We like to pretend that the majority of all human societies have basic rules when it comes to morality. But I suspect that is nothing more than an illusion. I believe that each individual . . . or each group has his/her or its own moral compass. What one individual is prepared to tolerate, another is not. It all depends upon our individual feelings regarding a certain matter. I could probably say the same about the “STAR WARS” saga, created by filmmaker, George Lucas. Many “STAR WARS” fans love to claim that their own interpretation of the moral compass of the saga’s major characters exactly matched Lucas’ intentions in his films. I wish I could say the same. But in the end, I realized that each person has his or her own interpretation of an artist’s work. And sometimes, that interpretation might also be different from the artist’s. Having expressed this view, I decided to express my own view of the moral landscape presented in the six movies of the“STAR WARS” saga. I am going to make a confession. When I first saw the original “STAR WARS”, I did not like it very much. In fact, I barely liked it at all. You must understand that I was rather young when the movie first hit theaters in 1977. I suspect that it blew my mind so much that I was inclined to reject it, instead of becoming a fan. This dislike did not extend to “THE EMPIRE STRIKES BACK”, when I first saw it. I was a little older and was able to appreciate what George Lucas was trying to do. And yet . . . I did not embrace this movie, as well. But I must admit that I found it difficult not to think about it. Han Solo’s fate and Darth Vader’s revelation had taken me by surprise and I found myself thinking about it all summer long. Ironically, “RETURN OF THE JEDI” became the first STAR WARS movie that I fully embraced. I say this with a great deal of irony, considering that it is now my least favorite movie in the franchise. During the late 1980s and the 1990s, I slowly became a major fan of all three films. And by the time I saw the first of the Prequel Trilogy movies, “THE PHANTOM MENACE”, I had fully embraced the saga. I realized that the Prequel Trilogy has been met with nothing but scorn and derision by many STAR WARS fans and the media. However, I have never shared their feelings. If anything, the Prequel Trilogy made me appreciate Lucas’ talents as a storyteller. It also made me realize that the producer had presented moviegoers with a very emotionally complex saga. However, this article is not about my basic feelings regarding all six films in the franchise. This article is about my opinions on the morality and characterizations presented in the films. One of the things I have always enjoyed about the Prequel Trilogy and movies like “THE EMPIRE STRIKES BACK” was Lucas’ revelations had pretty much revealed both the virtues and FLAWS of individuals. The characters in the Original Trilogy were flawed, but I do not believe their flaws had not been portrayed with as much depth as those characters in the Prequel Trilogy. And judging from the many articles, blogs and message boards I have read about STAR WARS, many fans seemed to dislike the less idealistic and more ambiguous portrayal of the PT’s main characters. The following article will focus upon the Jedi Order and some of its senior members. I hope to discuss some of their actions and how it affected the Galactic Republic in the Prequel Trilogy and their impact upon the character of Luke Skywalker and the Rebellion against the Galactic Empire in the Original Trilogy. Long ago (thirty-five years and seven months, to be exact) and in a galaxy far, far away, producer-director-writer George Lucas made film history with the release of his movie, “STAR WARS: EPISODE IV – A NEW HOPE”. Only, during the summer of 1977, it was simply known as “STAR WARS”. And this science-fiction/fantasy homage to Saturday morning serials and mythology was something that moviegoers had never seen before. Now considered as the fourth film installment of Lucas’ STAR WARS saga, “A NEW HOPE” chronicled the adventures of a space-aged farmboy named Luke Skywalker, who finds himself swept up in a galactic conflict between a tyrannical empire and a band of rebel fighters determined to return freedom to the galaxy. Not only did the film introduced the concept of the summer blockbuster and created a movie/television/literary franchise that made billions for its creator, it also became the second highest grossing film in Hollywood history (as of 2012) and ushered in a new age for movie special effects. This movie has made such a major impact upon Hollywood that its effects are still being felt to this day. “A NEW HOPE” began with an opening crawl describing a galaxy in a state of civil war. Spies for the Rebel Alliance have stolen the plans for the Galactic Empire’s new weapon – a heavily armed and armored space station capable of destroying an entire planet called the Death Star. One of the Rebel Alliance leaders, Princess Leia Organa of Alderaan, is in possession of the Death Star plans when her ship is attacked by Imperial forces under the leadership of the Sith Lord Darth Vader. Before she could be captured, Princess Leia hides the plans and a holographic recording into the memory of an astromech droid called R2-D2. The small droid and its companion, a protocol droid named C-3PO flee to the surface of the desert planet Tatooine. While Darth Vader sends a contingent of stormtroopers to look for the droids, R2 and 3PO find themselves captured by Jawa traders, who sell them to a moisture farmer and his nephew named Owen Lars and Luke Skywalker. Luke, who is an orphan, yearns to leave his uncle’s farm and find adventure in the stars. He finds it when he releases Princess Leia’s holographic recording, while cleaning R2-D2. The recording is for a man named Obi-Wan Kenobi. Surmising that Obi-Wan Kenobi and Ben Kenobi, who is a neighbor of his Uncle Owen, are one and the same; Luke delivers the droids and the message to the aging hermit. The young man also discovers that Kenobi is a former Jedi Master, who knew his father Anakin Skywalker, who used to be a Jedi Knight. Obi-Wan suggests that Luke help him deliver the Death Star plans to Princess Leia’s father on Alderaan. At first, Luke rejects the offer. But when his Uncle Owen and Aunt Beru are found murdered by Imperial stormtroopers looking for the droids, Luke decides to join Obi-Wan on the latter’s new adventure. 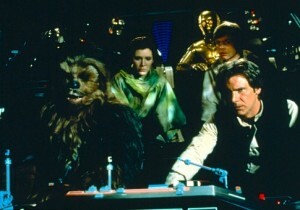 They recruit the services of two smugglers – Han Solo and Chewbacca – to convey them to Alderaan. The journey proves to be a new beginning not only for Luke, but also his new companions. I have a confession to make. When I first saw “A NEW HOPE” during the summer of 1977, I did not like it at all. Looking back, I realize that my hostile feelings toward the movie stemmed from a sense of being overwhelmed by something I found mind blowing and completely new. The release of “THE EMPIRE STRIKES BACK” and“RETURN OF THE JEDI” eventually eased the impact of Lucas’ saga upon my psyche. But it took several years for me to first warm up and eventually embrace “A NEW HOPE”. Despite my eventual love for the movie, I have never viewed it as my favorite of the saga (so far) . . . or as one of my top favorites. But I can honestly say that after thirty-five years, it still has quite a punch. In fact, I believe that it is probably the most entertaining of the sixSTAR WARS films produced by George Lucas. It is easy to see why “A NEW HOPE” is so beloved by many fans of the saga. The plot, written by Lucas, has the hallmarks of a first-rate adventure filled with space battles, escapes, daring-dos, a lightsaber duel, snarky dialogue, a roguish smuggler, a villain in black, a royal damsel-in-distress (who becomes a protagonist herself), a wise mentor and an innocent boy who answers the call to adventure. I suspect that another major reason why “A NEW HOPE” is so appealing to many of the saga’s fans is the “good-vs-evil” aspect of both its tale and its characters. It must have been very easy for moviegoers to identify with the movie’s protagonists and their fight against the tyranny of the “evil” Empire. For me, the movie’s pièce de résistance proved to be the entire sequence aboard the Empire’s Death Star. From the moment the heroes’ ship the Millennium Falcon found itself forced into the depths of the large battle station, to the moment when they escape some 20 to 30 minutes later, the entire Death Star sequence seemed to be one major fun fest that crackled with humor and action. With the exceptions of Alec Guinness and Peter Cushing, the cast of “A NEW HOPE” was filled with unknowns. I do not recall any well-known movie that Mark Hamill had appeared in before he became famous as Luke Skywalker. But Carrie Fisher, who portrayed the sharp-tongued Princess Leia, had already appeared in 1975’s“SHAMPOO”. And Harrison Ford, who would become a bigger star than either of his co-stars, had worked for Lucas before in the latter’s 1973 classic, “AMERICAN GRAFFITI”. But all three actors created an excellent screen team. Actors such as Peter Mayhew, who portrayed Han Solo’s first mate Chewbacca; along with Anthony Daniels and Kenny Baker, who appeared in all six movies as the droids C-3PO and R2-D2; added their magic to the mix. Many people have made a big deal over David Prowse’s physical and James Earl Jones’ vocal portrayals of Sith Lord Darth Vader. And they were quite right to do so. Both actors contributed a great deal to the character. But I have rarely come across any comments about Peter Cushing’s performance as the cold-blooded and arrogant military commander of the Death Star, Grand Moff Tarkin. I find that a shame, because I thought he made a very effective villain . . . even more so than Vader. And of course, there is Alec Guinness, who portrayed Obi-Wan Kenobi. 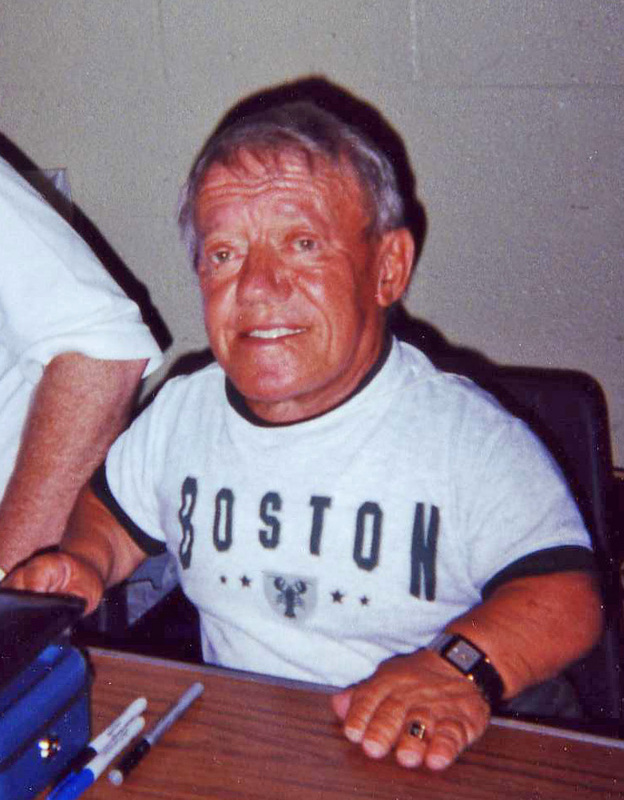 Guinness earned an Academy Award for his portrayal of the iconic Jedi Master. And I believe it was well earned. He did an excellent job as Luke’s wise and patient mentor, who was haunted not only by his past, but past deeds. I was not kidding when I had stated that “A NEW HOPE” was not one of my top favorite STAR WARS movies. I believe that it has its flaws. While I found the movie’s innocent air and joie de vivre approach to its story very appealing, I feel that the movie lacked a complexity that I believe gave an edge to the other five movies. I am not stating that the story and its characters lacked an emotional depth. There is some depth to both the story and the characters. But aside from the Han Solo character, the other characters seemed to be a bit one-dimensional in comparison. They were either good or evil. I can even say this about the Darth Vader character, who was given an opportunity for a bit of complexity in a scene in which he tried to explain the Force to the Death Star’s senior officers staff. While there are many who have no problems with a lack of moral ambiguity, I do. And I have to say that I was more than relieved when Lucas finally injected some moral ambiguity into his characters, in the franchise’s later films. only explanation for the ease of our escape. HAN: Easy…you call that easy? HAN: Not this ship, sister. Frustrated, Leia shakes her head. LEIA: At least the information in Artoo is still intact. HAN: What’s so important? What’s he carrying? when the data is analyzed, a weakness can be found. It’s not over yet! I know, I know. It does not seem like much. But hearing Ford spew those lines still make me wince after so many years. I was also disappointed by how Lucas handled the Princess Leia character in this film. I can already see heads spinning over this complaint. Superficially, Leia seemed like the perfect embodiment of a fictional female character of the late 20th century. Her intelligence, courage and razor-sharp wit practically screamed “I am woman, hear me roar!” And yet . . . Lucas dropped the ball with her character in one very significant moment in the film. His screenplay never revealed Leia’s reaction to Tarkin’s use of the Death Star to destroy her home planet, Alderaan. Not once. The moment Alderaan blew to smithereens, the movie cut back to the occupants of the Millennium Falcon and Obi-Wan’s reaction. Audiences saw Leia’s reaction to Tarkin’s order to destroy the planet. But we never saw the aftermath. We never saw Leia mourn over the deaths of millions of Alderaaneans – including her parents. Instead, Lucas allowed audiences a look at Luke’s reaction and grief over Obi-Wan Kenobi’s death at the hands of Lord Vader. Even worse, Leia seemed so focused over comforting Luke that she seemed to have forgotten about Alderaan’s destruction. The production values for “A NEW HOPE” still holds up today after so many years. However, I suspect that one can attribute this to Lucas’ decision to utilize CGI to make the special effects for the 1977 movie and the other two from the Original Trilogy more effective and less dated. I realize there are many veteran fans of the saga who claim that Lucas’ CGI retouches were unnecessary. They have also expressed their dislike of the revamped movies. All I can say is that they are entitled to their opinions. I simply do not share them. However, John Williams’ score remains as stirring and iconic as ever. John Mollo did an excellent job for his simple and elegant designs for the movie’s costumes. However, I am a little peeved that he managed to snag an Academy Award for his work on this film; whereas the Motion Picture Academy failed to give Trisha Biggar even a nomination for her outstanding work in the Prequel Trilogy. In conclusion, I can happily state that STAR WARS: EPISODE IV – A NEW HOPE” stands up very well nearly thirty-six years later. The movie and the five other films of the STAR WARS franchise remain among the best adventure films ever made in Hollywood, as far as I am concerned. And I can only wonder if George Lucas and 20th Century Fox Studios ever released what it had unleashed upon the world when the movie was first released in theaters back in May 1977. *I have always found the launching of shuttles rather different in the STAR WARS saga, in compare to other science-fiction sagas. The Imperial shuttles leave the starships like drops of water from a faucet. *The commander of the Death Star II seemed to react with horror at the news of the Emperor’s impending arrival. Quite a contrast to his mild nervousness at Vader’s arrival. *When I first saw ”Return of the Jedi”, I must admit that I found the numerous creatures inside Jabba’s palace a bit overwhelming. Okay, a lot overwhelming. *I like the way the camera suddenly in on the image of a frozen Han Solo hanging on Jabba’s wall. Very dramatic. *Why would anyone torture a droid with hot irons? *Why was Jabba suspicious of Leia’s bounty hunter disguise? Why did he suspect that she would attempt to free Han? *Why did Luke use the Force to briefly strangle Jabba’s guards? Was it necessary, considering that all they did was block his path? *I hope that getting captured by Jabba was part of Luke’s plan. If not, he was being rather arrogant in his belief that his initial plan to rescue Han would work. He reminded me of Padme’s display of arrogance in ”Attack of the Clones”, when she believed that she would be able to rescue Obi-Wan from Count Dooku. *”Vader’s March” seemed intensified in the scene featuring the Emperor Palpatine’s arrival on the Death Star II. *It is interesting that Yoda had warned Luke about facing Sidious . . . and not Vader. *Yoda is the only major Jedi character from the Old Republic that died peacefully. Even more odd is that although he has never been a favorite character of mine, I found myself crying over his death. A lot is wrong with the above statement by Obi-Wan. 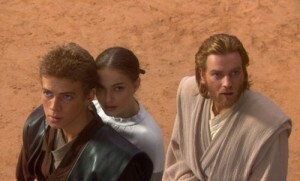 Anakin knew that Padme was pregnant. He just did not know that she was carrying twins. Owen Lars turned out not to be Obi-Wan’s brothers. Which is a good thing, because Obi-Wan had seemed unnaturally cool over Owen and Beru Lars’ deaths in “A New Hope”. He ended up reacting more strongly over the destruction of Alderaan and his encounter with Vader. And Padme did not survive giving birth to Luke and Leia – which also makes sense, considering that I cannot see her giving up one child to the Lars and taking the other one with her to Alderaan. *I found it disturbing that even as a Force ghost, Obi-Wan tried to encourage Luke to commit patricide. *I hate to say this, but Harrison Ford did some truly atrocious acting in the scenes that featured Han volunteering for the mission on Endor and saying good-bye to Lando before his departure. *I wonder if Vader had any idea that Sidious had been planning to replace him with Luke. *Every time I watch this movie, I have to be reminded that Han, Leia, Chewbacca and the droids were accompanied by Rebel troops. *The speeder bike chase sequence through the Endor Forest is still a classic with me and the Redwood State and National Forests were never more beautiful. *Oh God! Ewoks! Just what I need. DAMN YOU, George Lucas! *It is interesting that the Ewoks did not take the threats of their . . . ”deity”, Threepio, very seriously. Until Luke used the Force. *Threepio’s tale of the past two movies was rather emotional, but I think it would have been better if Bail Organa had not ordered his memories of the Republic wiped. *The minute Luke and Leia began to talk about Padme, I started to cry. *The quarrel between Leia and Han . . . featured some sloppy acting by Carrie Fisher and Harrison Ford. Geez! What is with them in this movie? *Great moment between Luke and Vader at the Imperial base on Endor. It is odd that Luke had advised Vader to let go of his hate. I never got the feeling that hate was Vader’s problem in this movie. He seemed too lethargic and resigned to his fate. can never be turned from the dark side. So will it be with you. LUKE: You’re wrong. Soon I’ll be dead…and you with me. Both Luke and Palpatine seemed to be suffering from massive ego trips. *Despite my dislike of the Ewoks, I must admit that I found their battle against the Imperial forces on Endor well shot. Many fans believe that Lucas was trying to convey the idea of the futility of technology against nature. I can see their point. *That old bugaboo about attachments seemed to have reared its ugly head, as Palpatine goaded Luke into attacking first. *Many fans have claimed that Luke had become more powerful than Vader in this movie. However, I have this odd feeling that Vader’s heart was not really into that last duel. When he discovered that he has a daughter, he used this knowledge to goad Luke into attacking him. Was he trying to turn Luke to the ”Dark Side”? Or trying to goad the latter into killing him? Suicide by duel? *It is easy to see that Palpatine has become too arrogant and sloppy in his old age. He has developed a big mouth over the past two decades. If he had kept his mouth shut during Vader and Luke’s duel, the latter would have killed his old apprentice, and the Emperor would have acquired a new one. *Ah yes! The ultimate moment when Anakin saved Luke and killed the Emperor. Still brings tears to my eyes. *Great special effects used in the sequence featuring Admiral Needa’s death. *I think that I like the destruction of the Death Star II a little better than the destruction of the first one in ”A New Hope”. *After watching Anakin’s death scene, it occurred to me that all of the movie’s best scenes centered around Luke and Anakin. *Why in the hell did Leia wait so long to tell Han that Luke was her brother? I knew that she was upset to learn that Anakin/Vader was her father, but . . . geez! *What goes around, comes around. Anakin received a funeral pyre just like his first Jedi mentor – Qui-Gon Jinn, the very man who had discovered him. *The celebration music at the end of the movie seemed like a slight improvement over the original version. I can also say the same about Hayden Christiansen’s appearance as the ghost Force Anakin Skywalker. *Even though this is my least favorite STAR WARS movie, I must commend it for the strong emotional ties it seemed to have with the Prequel Trilogy.